Although summer marks the season of ice cream, backyard BBQs, and festive alcoholic beverages, make sure you balance all the indulgences with a healthy diet full of fruits and vegetables. Whether you take advantage of the local and in season produce at your Farmer’s Market or plant your own garden, it’s the perfect time of year to stock up on a variety of fruits and vegetables. Staying hydrated is important year round, but even more so when the temperatures begin to rise. Whether you’re running errands around town, heading out for a nature hike, or are just doing some work around the yard, it’s crucial to stay on top of your water intake. Experts recommend drinking at least 64 oz. of water a day (throughout the day) and don’t wait until you’re thirsty to get caught up on your water intake. It’s also important to recognize signs of dehydration, a potentially serious issue, particularly during summertime. You may have mild dehydration if you are feeling thirsty, have a headache or feel lightheaded, feel fatigued, have less frequent urine (or dark yellow) output, and constipation. Spending time in the sun can give you a much needed dose of Vitamin D, but too much sun can be bad for your health. Too much exposure to the sun can put you at risk for skin cancer and a severe sunburn is also known as “sun poisoning” and can make you feel very ill. A severe sunburn can result in skin redness and blistering, pain, tingling, swelling, headache, dehydration, dizziness, and flu like symptoms. The best way to avoid a sunburn is by wearing broad spectrum sunscreen of at least 30 SPF and by avoiding being in the sun for long periods of time. In addition to wearing sunscreen and limiting your exposure to the sun, don’t forget to protect your eyes from sun by wearing sunglasses and wear a wide brimmed hat. If you begin to feel too overheated in the sun, try to find a shady spot and make sure you stay hydrated. Summer is the perfect time to get out and enjoy the great outdoors. Whether you prefer to go on a bicycle ride with your family, a short getaway on your motorcycle, or heading to the beach for a day of fun by the water, it’s important that you stay safe and avoid risky behavior. Everyone in your family should wear a helmet when riding bicycle or operating a motorcycle. If you’re heading out to enjoy water sports, make sure that you wear a Coast Guard approved life preserver and make sure you dive into water feet first to avoid head injuries. The springtime weather is ideal for most everyone, but allergy sufferers. Although allergies can strike at anytime, it’s important to pay attention to the weather outside in order to control your symptoms. It’s important to know that tree, grass, and ragweed pollens are abundant during warm days and cool nights and pollen levels often peak in the morning hours. Although rain can wash pollen away from surfaces in your yard (such as the sidewalks or your car), pollen can also worsen after a rainfall. When the weather is windy, you are more likely to be affected by the pollen rather than days without wind. If you are are sensitive to mold, you are more likely to struggle with your mold allergy when the weather is hot and humid. 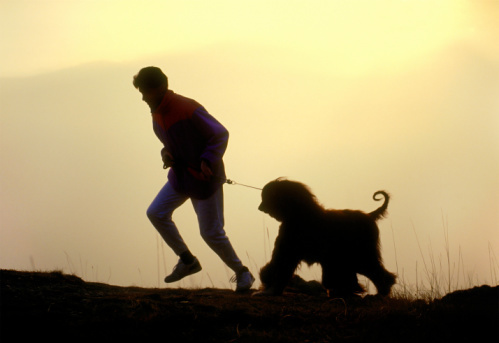 In addition to paying attention to the weather and limiting your exposure to the outdoors when allergen counts are high, you should take proper precautions to managing and avoiding your triggers. If you had a food allergy, you would go out of your way to avoid eating anything with the allergen; springtime allergies should be treated no differently. Although may not be able to easily control going outside, you can do other things to limit your exposure and avoid your allergen triggers. When allergen counts are high, consider keeping the windows and doors shut at home or in your car, take a shower and change your clothing after spending time outside, avoid hanging laundry outside, skip wearing contact lenses, and wear a filter mask if you need to take care of outside work (ie. yard maintenance). In addition to taking necessary precautions outside, it’s important to keep your the indoors free from allergen triggers by limiting the amount of mold and pollen throughout your home. Immediately wash any clothing covered in allergens, use a vacuum with a high quality filter, use a dehumidifier, and use an air conditioner when possible. If your allergy symptoms continue despite your efforts to limit your exposure to certain triggers, medications may be your best option. 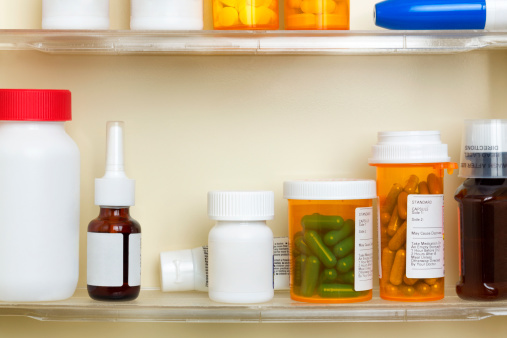 Whether you take a nonprescription oral antihistamine or decongestant or are prescribed a medication by your doctor, it’s important that you are aware of what you’re taking, how they may affect you, and keep your medicine cabinet up to date and organized. If you are an annual allergy sufferer, you may want to get ready for allergy season before it hits by stocking up on allergy medication and making proper preparations throughout your home.